The Podium retro side table is a unique and modern take on your standard coffee table design. 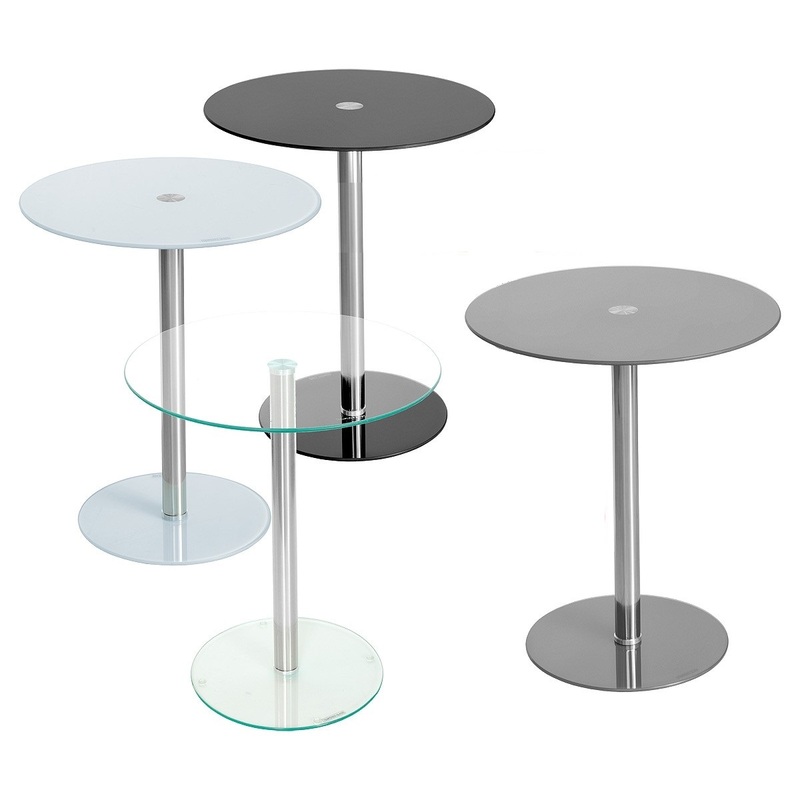 The Podium side table is designed with a round tempered glass top and base, available in black, grey, clear or frosted. With a polished metal stem.